Exhibition NyArktis by CAS researchers: Cameras attached to the reindeers result in photos from the animal's perspective. 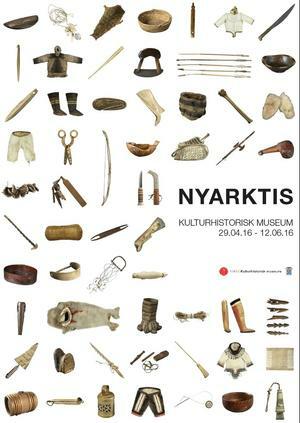 NyArktis is open from April 30 to June 12 at Kulturhistorisk museum in Oslo. 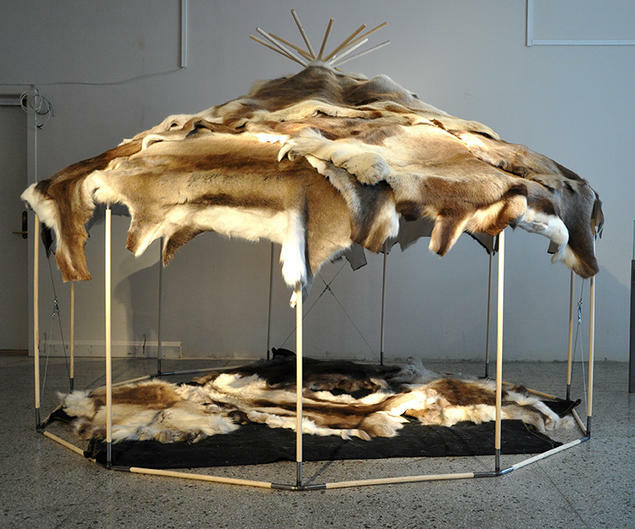 The exhibition NyArktis sprung out of the ongoing 2015/2016 CAS research project Arctic Domestication in the Era of the Anthropocene, which challenges the dominant understanding of the history of Western civilization. 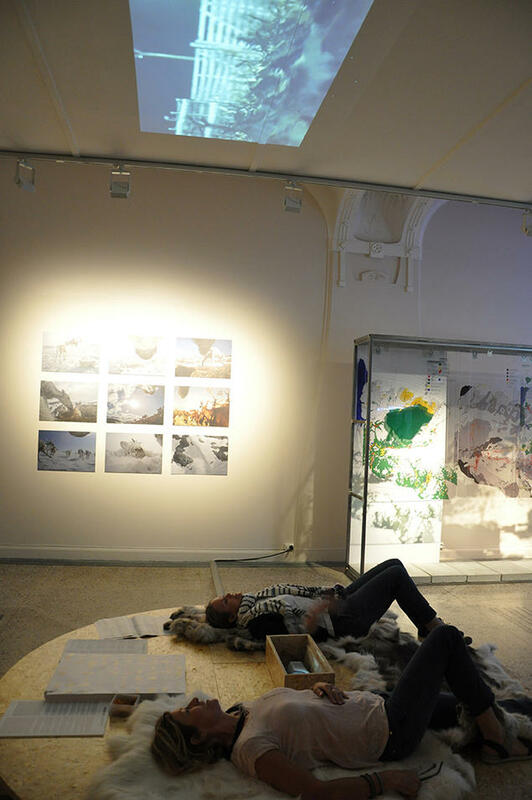 The national and international academics behind the exhibition describe the Arctic as continously conquered. "An arena for international rivalry"
A hundred years after Nansen and Amundsen raced alongside other polar explorers for fame and national standing, the Arctic is once more an arena for international rivalry. Today, the race is on for the exploration of natural resources, climate change and scientific developments. 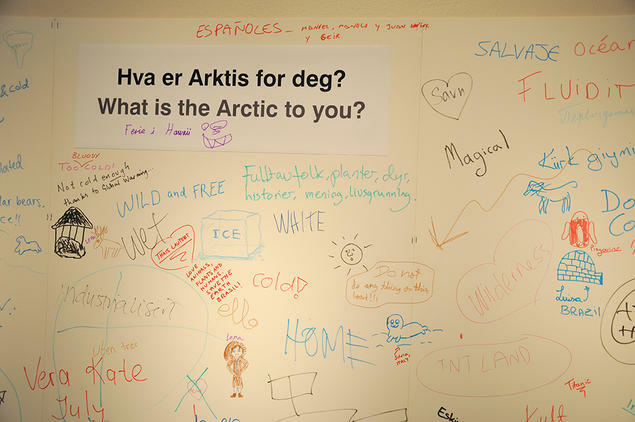 How do we understand the Arctic under these circumstances? Why are these areas almost always defined as empty and without human presence? Furthermore, if civilization is synonymous with hierarchical relations, how would we then understand people who live differently, such as people living in the Arctic? 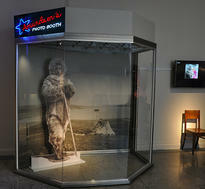 Come and learn more about what the Arctic can be at an exhibition that activates all senses: hear, feel, smell and see. Marianne Lien, Liv Østmo, Britt Kramvig, Natasha Fijn, Rob Losey, Heather Swanson, Nancy Wachowich, John Law, Berit Kristoffersen, Sverker Sörlin and Gro Ween. 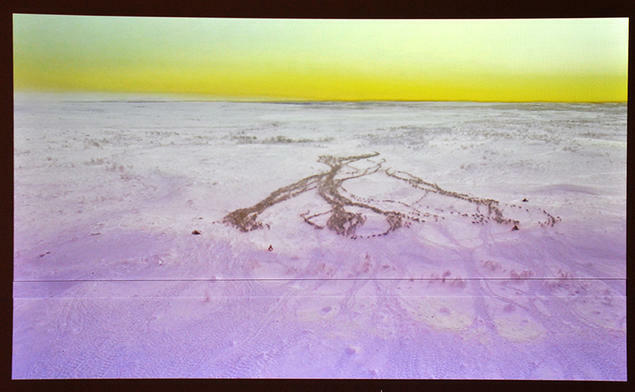 Drone footage of reindeers migrating in Jan Helmer Olsen's film. Hundred year old tools used for survival in the Arctic. 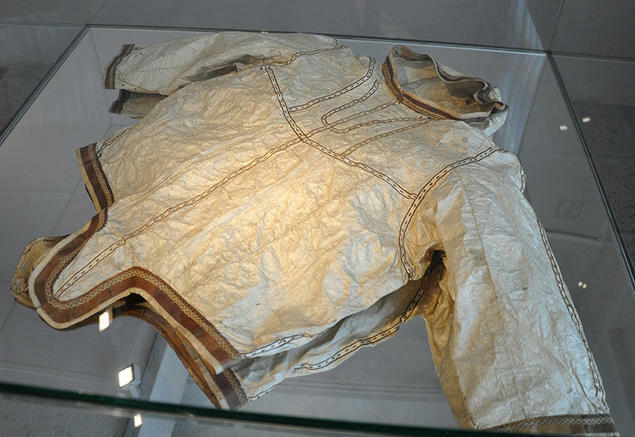 A waterproof coat made out of the reindeer's intestines and sewn with threads made out of the animal's tendons. 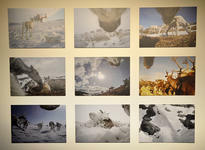 Cameras attached to the reindeers result in photos from the animal's perspective. 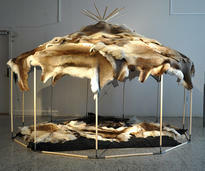 The biggest belly of the reindeer is dried and turned inside out by Jon Andreas Utsi and Karen Ellen Marie Siri Utsi. 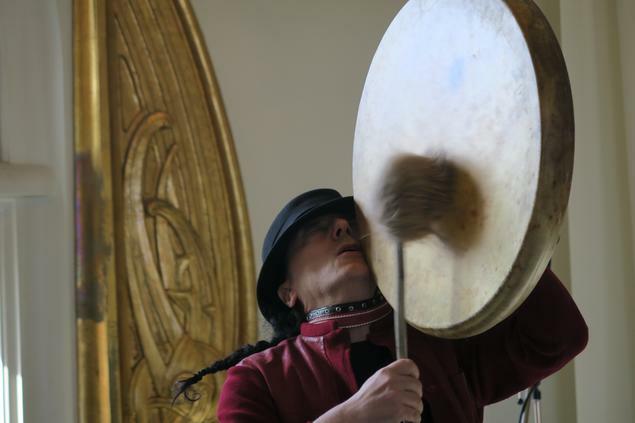 Amongst other things, this was used to preserve blood and milk. 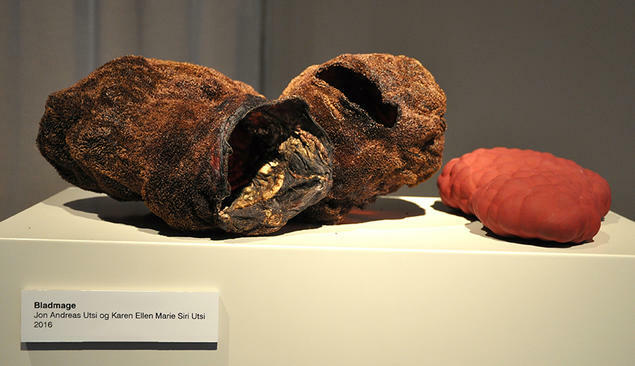 The sculpture to the right is an impression of the same belly, by artist Geir Tore Holm. In this photo booth visitors can take photos with the polar explorer Roald Amundsen. Short extracts from the movies "Aatsinki. The story of Arctic cowboys" by Jessica Oreck, Myriapod Productions LLC, and "Dreamland" by Britt Kramvig and Rachel Gomez, Sonar Film, are projected in the roof. Scientific Director of CAS, Professor Vigdis Broch-Due, poses with the Norwegian polar explorer Roald Amundsen at the opening of the Exhibition Nyarktis.